Growing up I spent a lot of time with my gramma Millie. She is a woman of faith, she is loving and caring, and she was always cooking or baking something fantastic in her kitchen. She truly is beautiful inside and out.When I was a young girl she was someone that I looked up to and aspired to be, and still do today. Throughout my teenage years I would visit my gramma once a week and get her to teach me how to cook or bake something new. 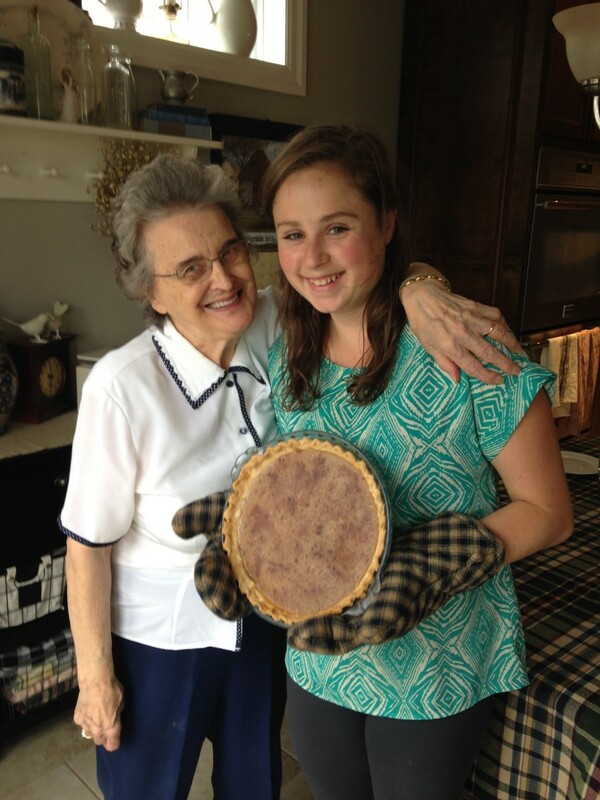 Who better to teach me than a woman who has spent 75 years perfecting Mennonite cooking? When asked to pick a squash for our fall squash challenge I jumped at the chance to take home a pie pumpkin. I quickly got on the phone with my gramma and asked her to come help me. After all, Mennonite pies are the best pies! We spent the morning talking, singing silly little songs and of course baking. 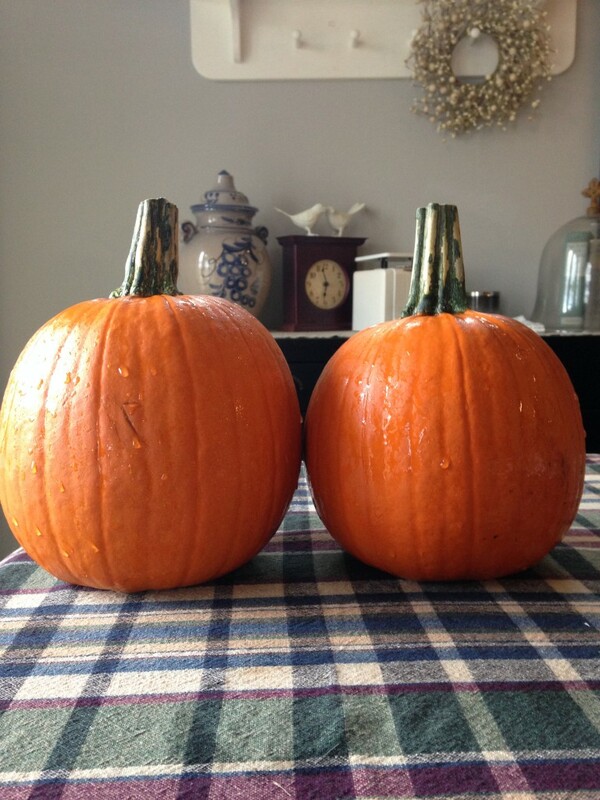 First we washed our pumpkins. 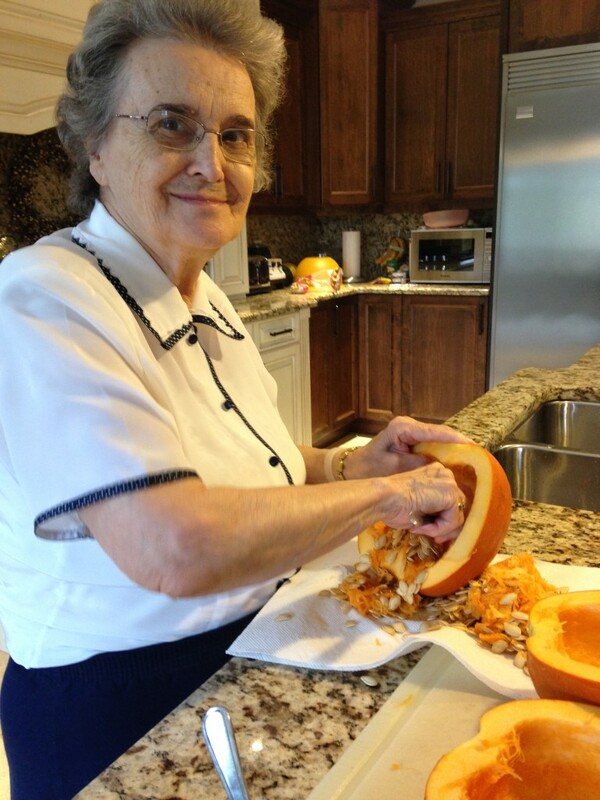 Then I watched as my tiny 80 year old gramma smashed the tops of the pumpkins against the counter to break off the stems. As we cleaned out the inside seeds and goop, my gramma said “I grew up in the Great Depression you know, we saved those seeds and roasted them!” But another recipe, for another time. 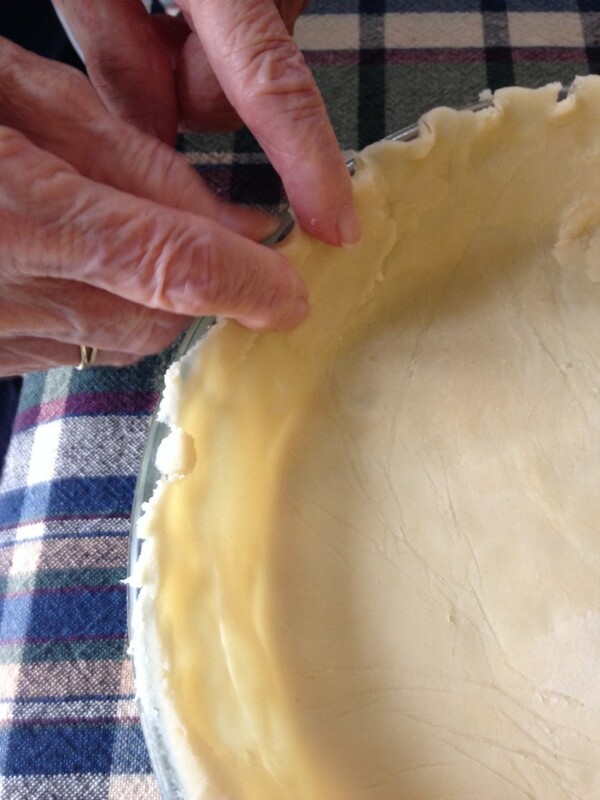 I always loved the way my gramma crimps the edge of her pies. 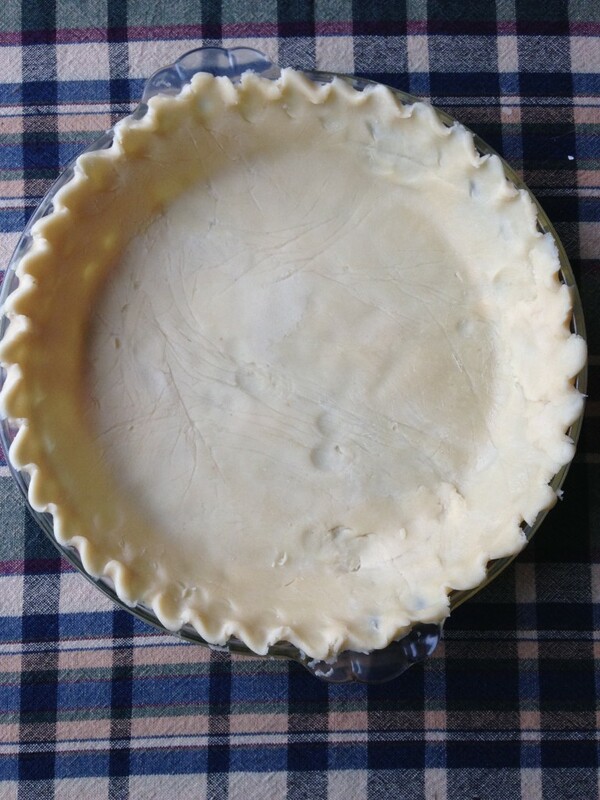 You use two fingers and just pinch all the way around the outside of the pie. Once the crust is made, and the pumpkin is cooked it’s time to make the filling! Mix together in a bowl the pumpkin, sugar, milk, cornstarch (or flour if preferred), eggs, and spices. Pour your filling into the crust and sprinkle the top with cinnamon. Bake the pie for 45 minutes at 375F. 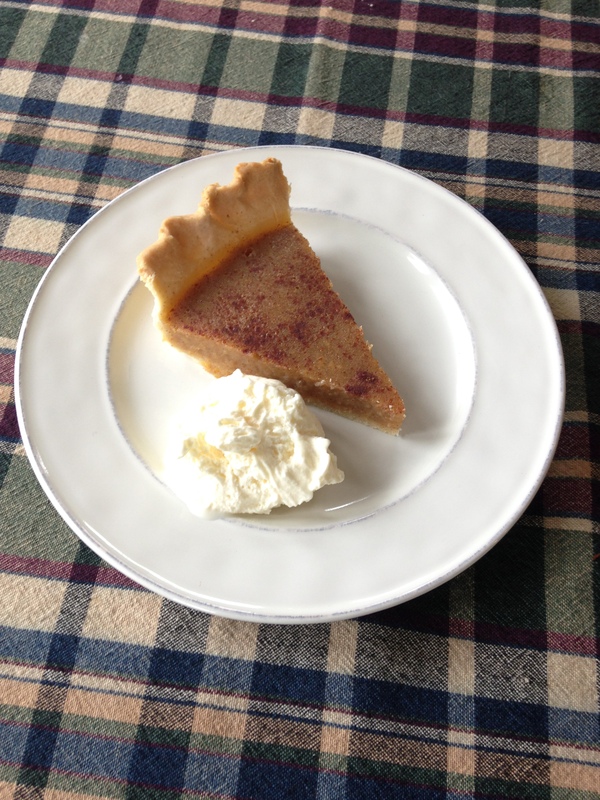 Once finished serve your pie with fresh whipping cream, or as me and my gramma prefer, vanilla ice cream! Enjoy! Pumpkin pie and vanilla ice cream! 5. Wait until cooled and enjoy with fresh whipping cream or ice cream!